As we enter a time of reflection and thanksgiving, I want to thank the citizens of Blue Ridge, Greer and Taylors for electing me to represent District 18 in the South Carolina House of Representatives for the last ten years. It has been an honor and a privilege. I also want people to know that I have decided not to stand for re-election to the House. We should take time during the holiday season to reflect on who might be the best person to represent us in the future. 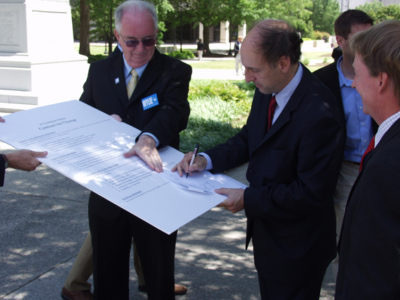 Back in 2008, I ran as a conservative reform-minded Republican. I believed that our state government cost too much, delivered too little and was not accountable to the taxpayer. We had a 19th century government failing to govern efficiently in a 21st century world. I also believed that our individual liberties were under increasing attack and required a proactive defense. As I look back over my service in the House, many of the specific reforms that I campaigned for have been realized. 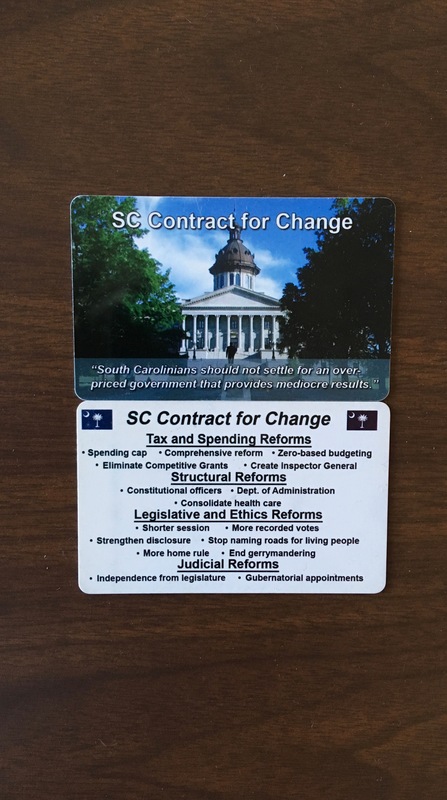 Reforms such as creating a state Inspector General to investigate fraud, waste and mismanagement of government funds, merging several state agencies under a new Department of Administration, shortening the legislative session and increasing transparency through recorded votes. Other reforms such as expanding school choice options for parents, simplifying our state tax code, requiring state agencies to practice zero-based budgeting and bringing transparency to our judicial nomination process still elude us. More importantly, I sponsored legislation and voted to expand protections for unborn children, pushed back against encroachments on our freedom of speech, freedom to worship and freedom to bear arms. When the need required, I spoke in the House chamber in support of these issues. More often I wrote about them – a habit that I will continue with greater enthusiasm once I am out of office. We live in a different America now as compared to 2008: an America that has closed its mind to hard truths learned through decades and centuries of even harder experiences; a childlike America enamored by a glittery virtual reality but who has forgotten the faces of its ancestors. Our community has a bright future but only if we stay grounded in the values that made us who we are today. Our next representative should remember that. Next Post Did I Have A Jeff Flake Moment or Was That A Johnny Fever Flashback? You have been a strong leader. Thanks for your service over ten years. Our problem is we still have a 19th Century government that is unable to handle effectively 21st Century issues.